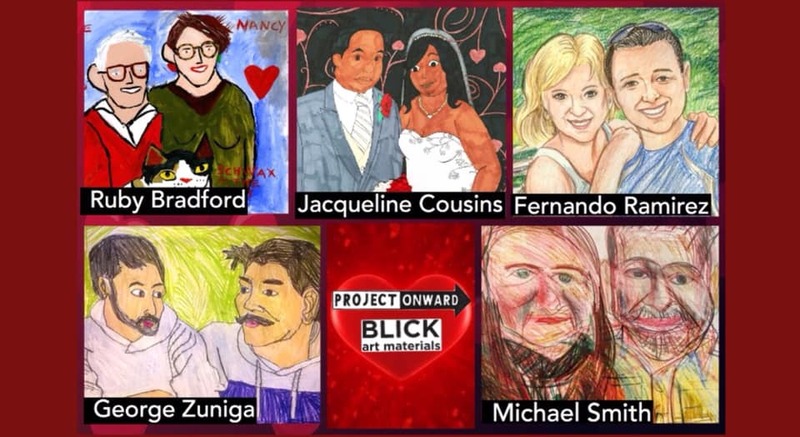 Project Onward is pairing with Blick Art Materials on State Street to bring you a Valentines Portrait Slam! PO artists Jacqueline Cousins, Fernando Ramirez, Ruby Bradford, Michael Smith, and George Zuniga will be set up and ready to create custom portraits of couples, individuals, or pets from photos or from life while you wait starting at $30. All are welcome to attend this event! RSVP to robyn.jablonski@projectonward.org with your preferred artist to reserve your spot and prepay today!